Redditor Liktwo is a genius. 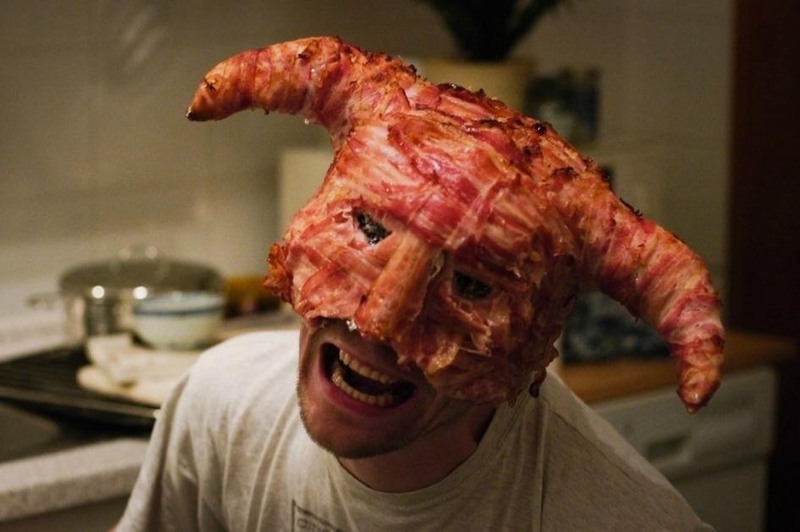 It only took him a month after the release of The Elder Scrolls V: Skyrim to realize that making the Dragonborn's helmet out of bacon was the best idea since...Jeeze, maybe of all time. 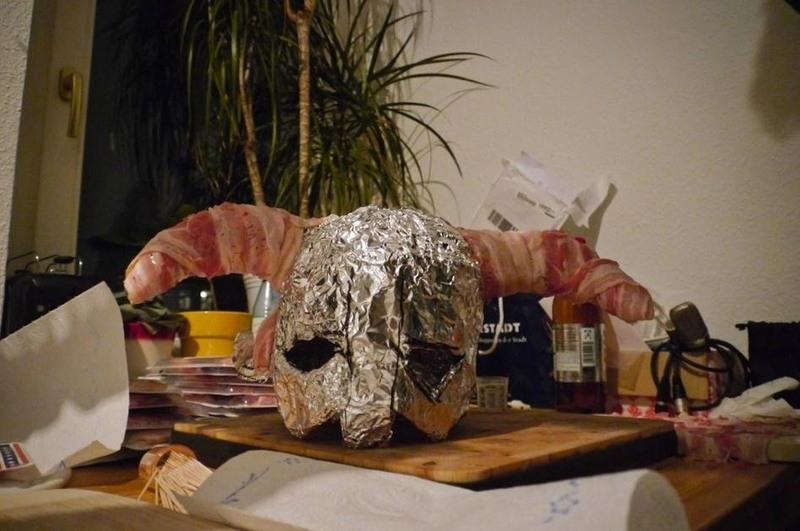 Through the miracle of tin foil and a ton of toothpicks, Liktwo was victorious in his quest for bacon glory. See the results in the gallery below. 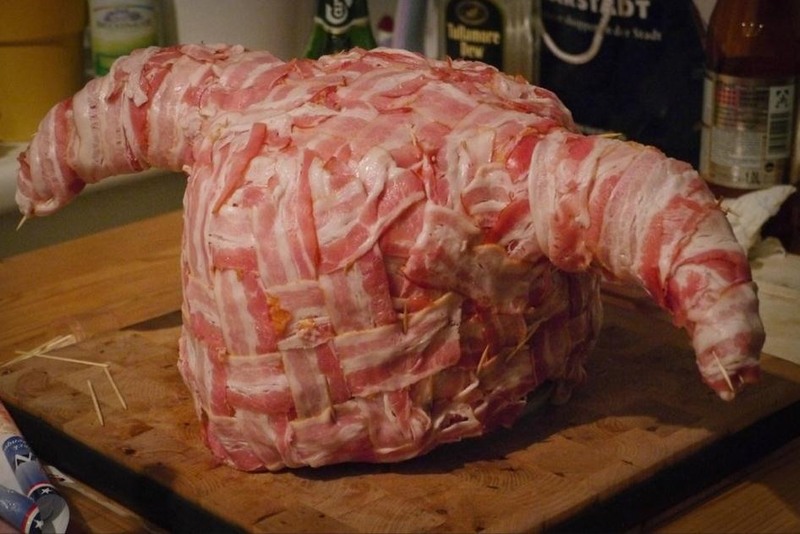 Just know that once you start looking at the bacon helmet, not much else in the world is worth looking at again. My first thought: It's going to take months to clear up the acne he's bound to get from wearing that thing. 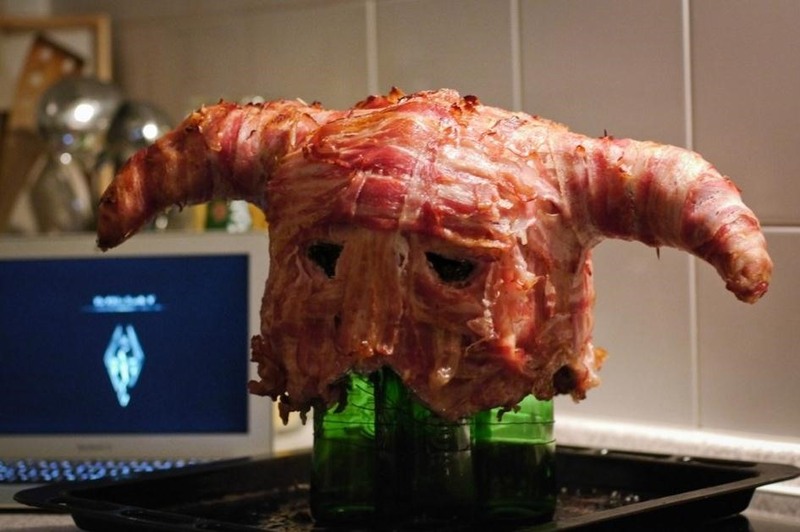 At least there's foil between the meaty goodness and his head. 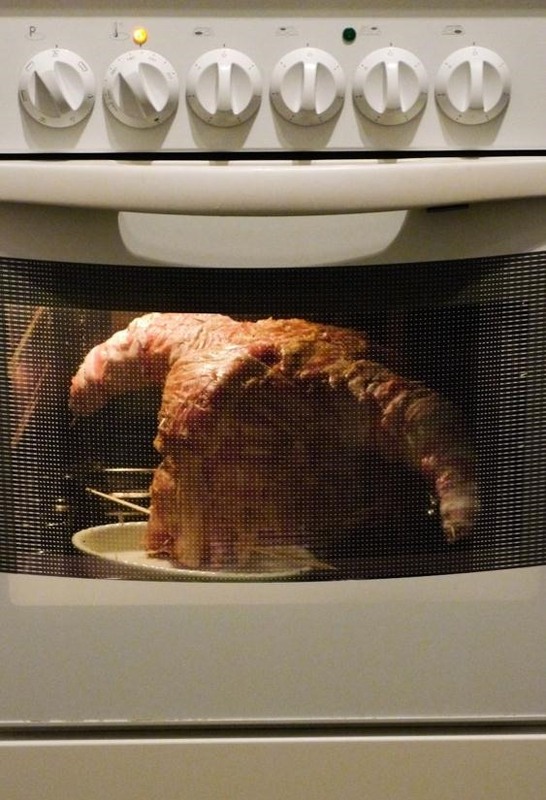 Look, all that I want right now is a bacon wrapped hot dog with a fried egg on top. 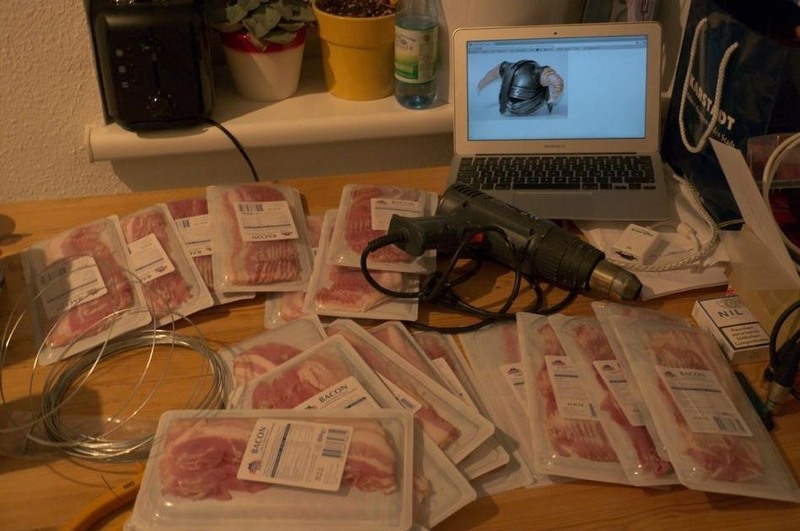 Because bacon.